The Company recently made a grant of £300 to the New Forest Show to build two new forges which were required for the demonstrations and live-forging competition. Kingston Maurward College undertook to construct the new forges. 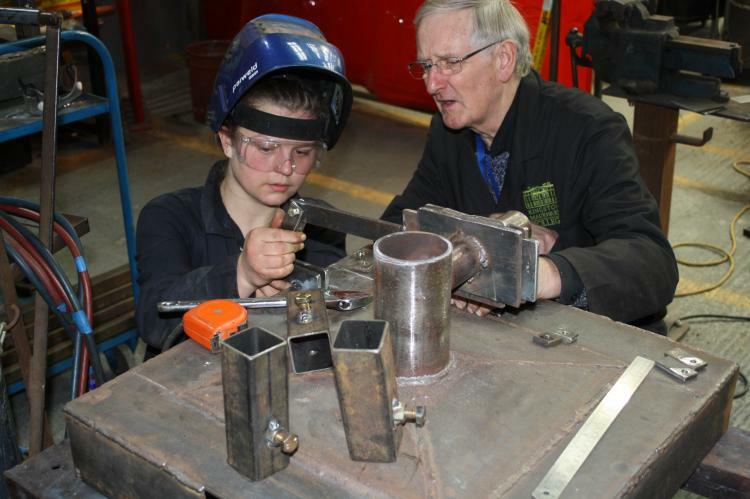 The picture shows Mollie Gilpin, one of the students in receipt of a Company bursary this year, building one of the forges under the watchful eye of Mr Brian Hill AWCB, one of the college tutors. Construction of the forges is an ideal project for a level two student towards the middle of their year's study.